The Dun Laoghaire Ferry Terminal is set to transform into a unique new hub for tech, marine and design businesses. The Harbour Innovation Campus, will house a state-of-the-art shared innovation space for local & international companies and directly inject in the region of €20 million euro into the building and local economy over the next 10 years. At 75,000 square feet, The Harbour Innovation Campus will be the largest innovation hub in Ireland and one of the top 5 in Europe, housing up to 1,000 members across its former arrivals hall, departure lounge, baggage hall and ticket office buildings. Externally the landmark building will remain unchanged but internally the building will be repurposed to a state of the art innovation campus. It is due to be operational mid 2018. It is anticipated that the fabric of Dun Laoghaire itself will be transformed when the 1,000 strong workforce from all over Europe move in and breathe new life into the old ferry terminal and the surrounding environs. Research shows that the average co-worker spends at least €100 per week in their local vicinity which could mean that local businesses could see an additional €400k spent in their locale monthly. It is estimated the Harbour Innovation Campus will additionally bring with it a significant increase in local employment with new jobs in restaurants, shops, facilities, administration, bars and cafés. Dublin businessman Phillip Gannon is the visionary behind the Harbour Innovation Campus venture and along with shareholder and tech entrepreneur Ian Lucey, they plan to attract a diversity of businesses to the campus. Included in the overall plan for St. Michael’s Pier, this innovation campus will not only house innovative tech companies and marine-based enterprises but also plans to provide a world-class makerspace on site for creative prototype design in wood, metal, plastic and electronics. It will also provide a space within the innovation units for bigger businesses and a range of affordable co-working spaces for people working remotely. 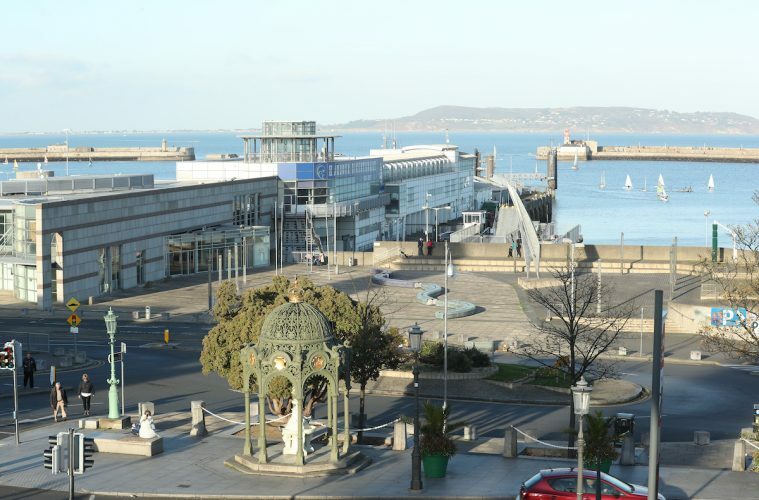 Dun Laoghaire is an ideal location, perfect for attracting talent from home and overseas. It is well served by public transport with cycle lanes and Dart & Bus services in close proximity, there’s also a wide range of local amenities and businesses close by to serve the Enterprise Campus. “This unique space presents a great opportunity to boost not only Dun Laoghaire and the surrounding areas, but the country as a whole,” concluded Mr. Gannon.